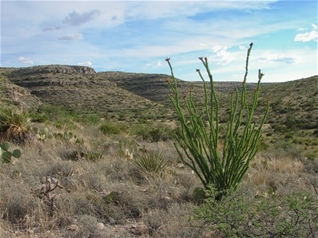 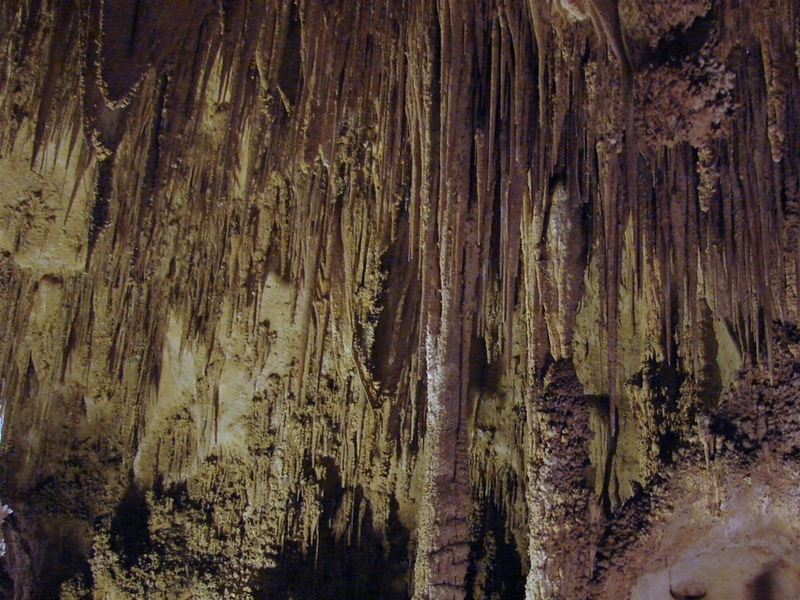 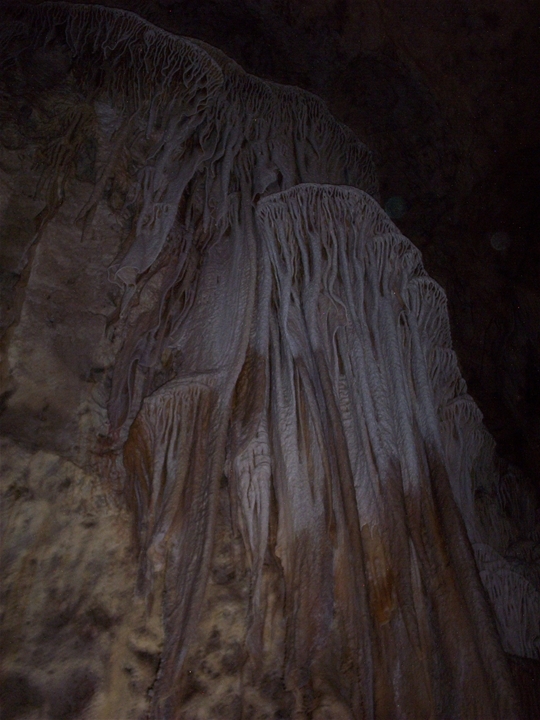 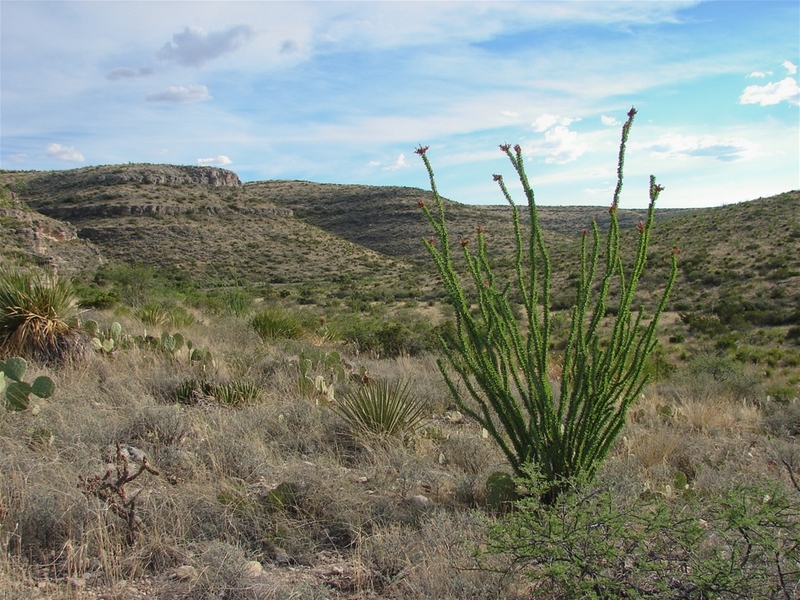 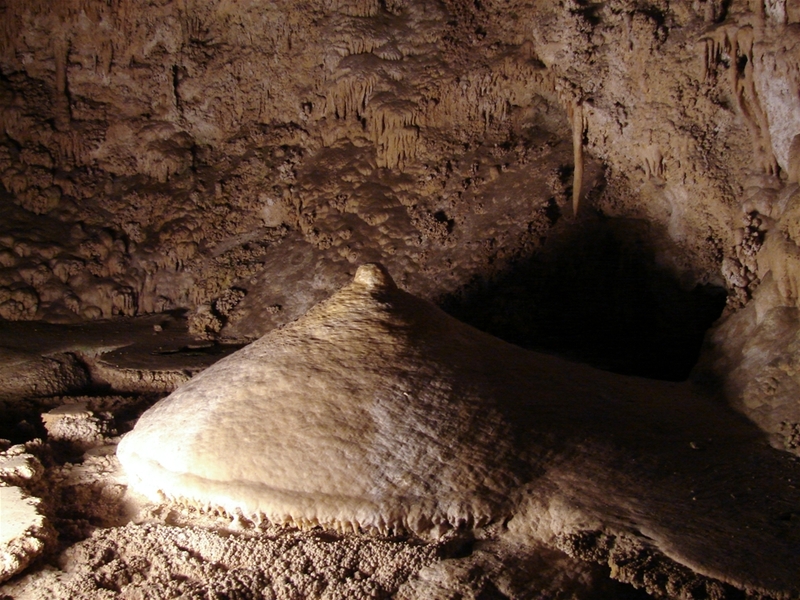 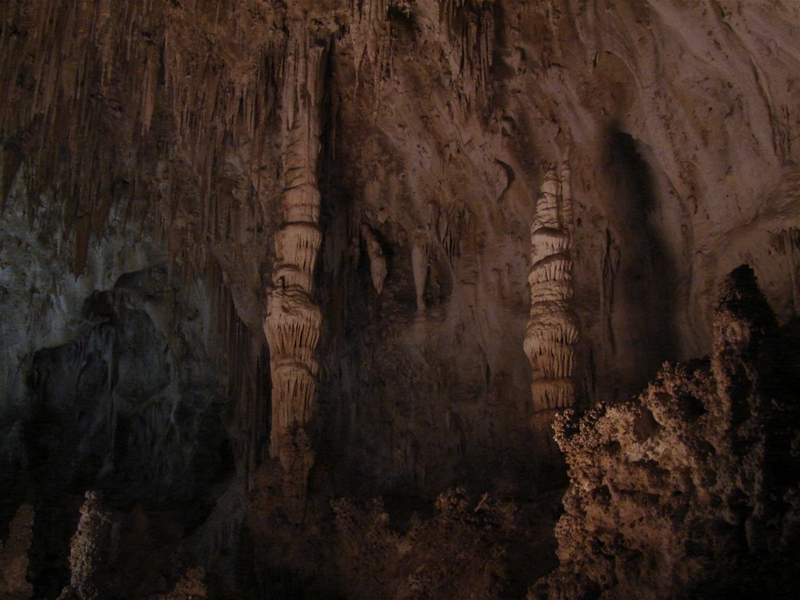 Beneath the surface of the Chihuahuan Desert is a cool, dark oasis with some of the most beautiful formations anywhere. 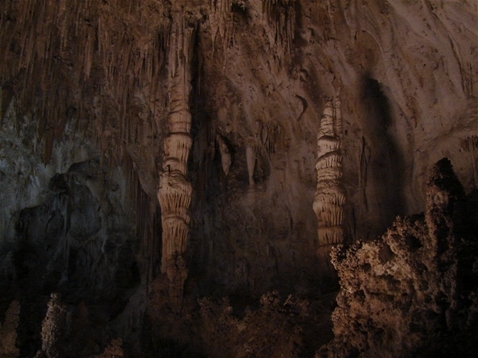 To the left is the humble natural entrance to these caverns. 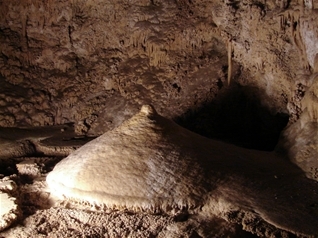 Inside are some of the largest rooms of any caves in the world. 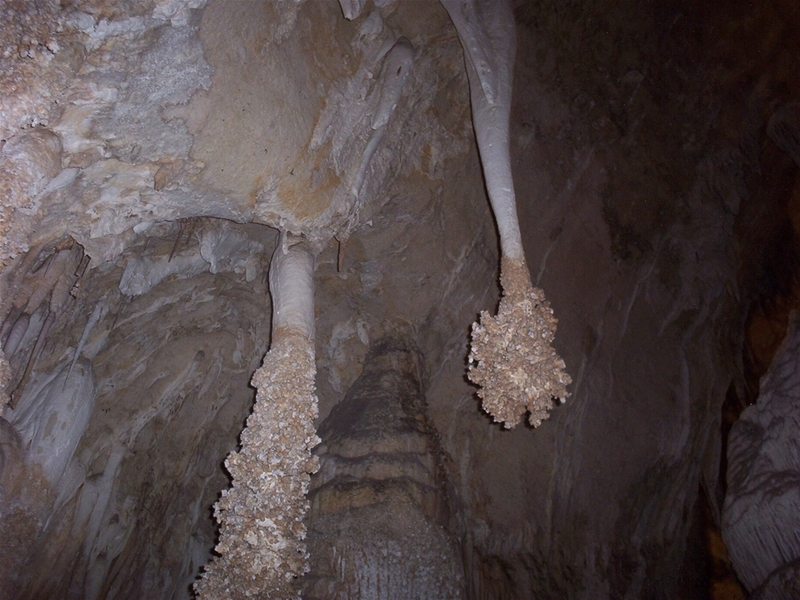 There is even a restaurant and gift shop inside the cave! Lighting is very poor inside and it can be difficult to photograph. 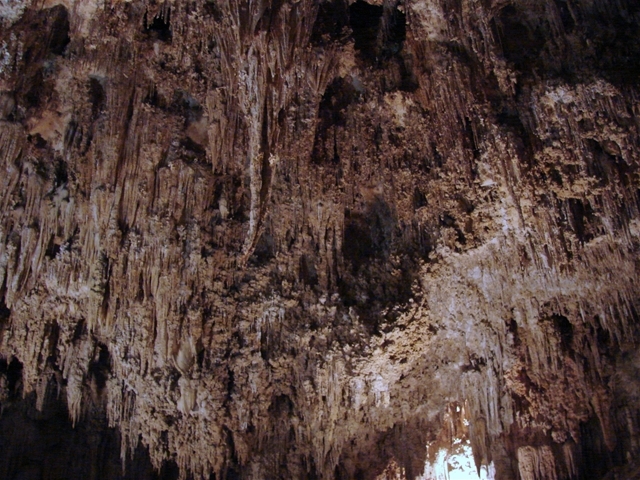 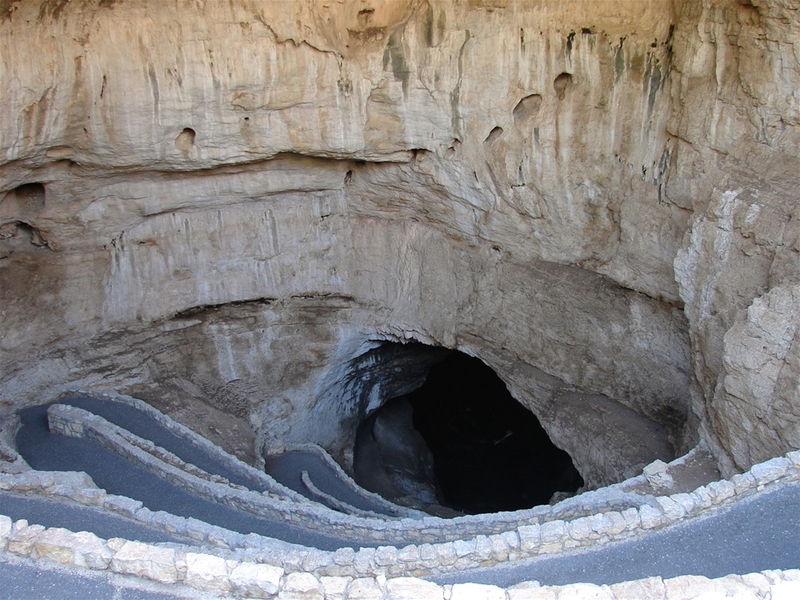 Carlsbad Caverns' most remarkable feature is the flight of 250,000 bats which fly out of the cave entrance about 10 minutes after sunset. 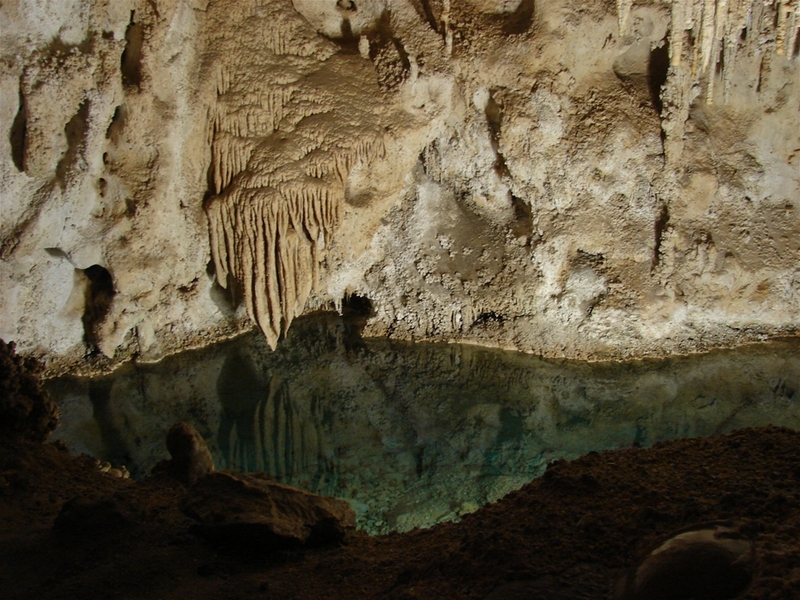 This is an amazing site and must be seen in person. Flash photography is prohibited at the bat flight, so I could not get pictures.